Simplify the payment process and reduce costs with the One Card program! Online Access 24/7: US based support team that provides easy access to manage transactions, statements, cardholder profiles and cardholder account features. Transaction Management: view transactions for up to the last 6 billing cycles and add client specific details to transactions, such as purchase receipts, tax information and route for approval; download statements for the last 18 months. Payment Plus: extends commercial card payments to higher value transactions typically paid by check; provides Accounts Payable (A/P) with the flexibility, float and rebate of a commercial card, along with control and security of a "virtual" card account. Reporting & Statements: choose from a variety of standard and ad-hoc reports dashboard reporting, which provides summary performance "snapshots," and report scheduler for standard and ad hoc reports. Financial Extracts: select from standard, general ledger and payment data extracts to integrate into your organizations existing financial systems. Complement your program with the convenience of virtual card account capabilities delivered by Virtual Pay. Reduce fraud and gain greater control by establishing set credit limit and validity periods. Gain processing savings when you eliminate costly manual, paper-based processes. Leverage improved data, reporting and reconciliation to support vendor negotiations and simplify reconciliation. Improve revenue streams by increasing your rebate opportunity and extend your float. Submit payments via form- and file-based payment instruction options. 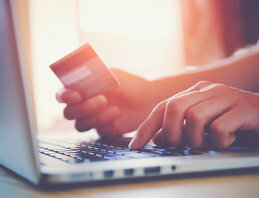 Pay suppliers securely with virtual card accounts, or simply deposit funds directly into your supplier's account with straight-through processing. Monitor payments with Access Online, reporting and financial extract options. Contact a banker to see if the One Card is right for your organization!